JESCO Inc. will hold a demonstration and training opportunity for customers and prospective customers on the latest technology available for heavy construction equipment at the Local 138 Apprentice Training School in Yaphank, Long Island. JESCO Inc., a Northeast construction dealer, announced that it will hold a demonstration and training opportunity for customers and prospective customers on the latest technology available for heavy construction equipment at the Local 138 Apprentice Training School in Yaphank, Long Island, on May 3, from 9 a.m. until 4 p.m.
Because technology is advancing so rapidly for the industry, JESCO's highly-trained team is committed to providing critical support for contractors in this intensely competitive environment, according to the company. Dubbed "the down-to-earth equipment people," JESCO prides itself on delivering innovative products, including John Deere, Hitachi and Wirtgen Group. When coupled with grade management technology, machines operate with speed and productivity. It is imperative for operators to stay current with the most advanced technological systems in order to maintain a competitive advantage. As a supplier of technology for the construction industry, JESCO is always striving to keep customers on the leading edge, according to the company. An example of how JESCO's team goes the extra mile for customers is the integration of advanced technology from Topcon, a leading designer and manufacturer of precision grade management equipment. 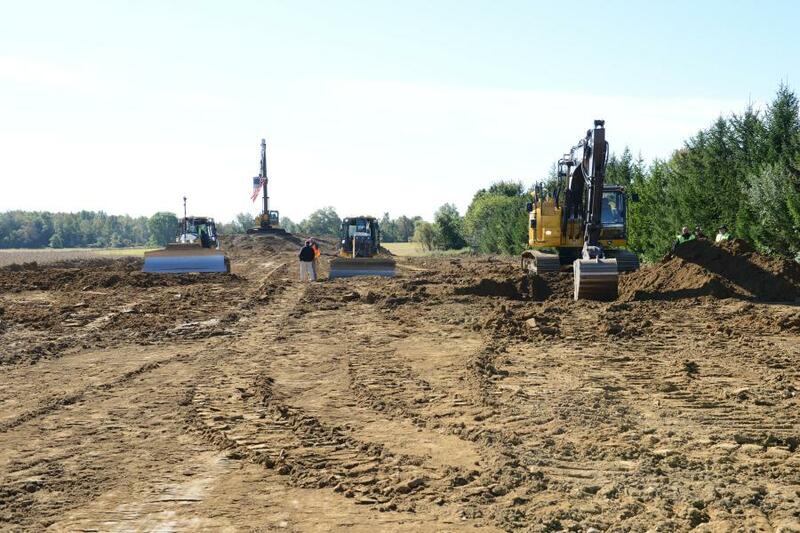 "Thanks to the International Union of Operating Engineers Local 138, we can offer our customers an excellent way to learn about the operation of heavy equipment with the innovative technology of systems, such as John Deere SmartGrade dozers and Topcon 3D dozer and excavator grade control technology," said Dana Hopkins, general manager of JESCO's Topcon division. "This one-day program will give our customers real hands-on experience using the advanced systems that enable them to tackle projects more efficiently and more productively. Our trained staff will be on site all day to give operators the opportunity to use equipment firsthand and to answer any questions they may have." In addition to learning about new technology and being trained on its operation, attendees at JESCO's Demo Day can enjoy a catered buffet lunch and receive a variety of door prizes. The Local 138 Training School is located at 575 Horse Block Road in Yaphank, NY 11719, just off of Sunrise Highway. Registration for industry professionals is not required for the event, but JESCO recommends contacting Dana Hopkins if you are planning to attend. For more information about and to solidify plans to attend the May 3rd Demo Day, contact Dana Hopkins at dana.hopkins@jesco.us.